Here's a fun Valentine to make and give. 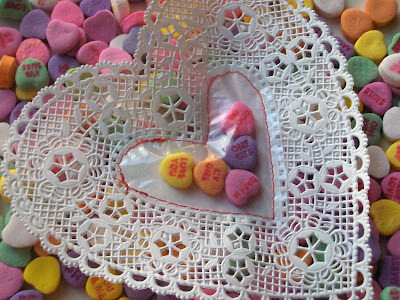 The candies are enclosed in the heart so the only way to get them out is to push them through the maze. Well okay, that's not completely true, you could rip the whole thing open, but where's the fun in that! Directions below. 1. Using the colored paper, cut out a heart. I recommend nothing smaller that 5" by 5". 2. 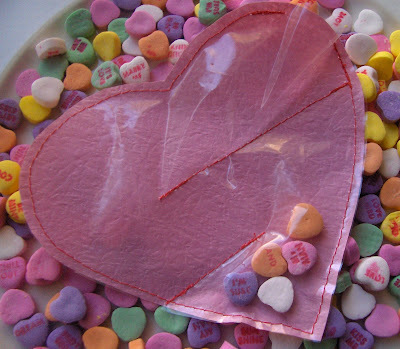 Cut out a piece of the zip lock bag that will cover the heart and over lap some. 3. Machine sew the paper and zip lock together around the edge of the heart leaving a space to put the candy in. 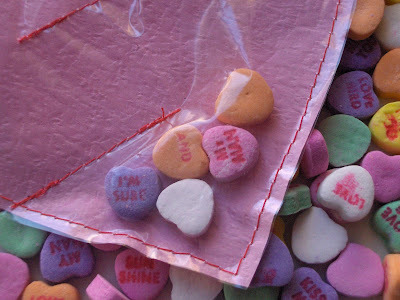 Trim the zip lock so its the same shape as the paper heart after sewing. 4. Place the candy in the bottom of heart. 5. Machine sew two separate lines to form the maze (refer to the picture). *Make sure the maze is wide so the candy can be pushed through. 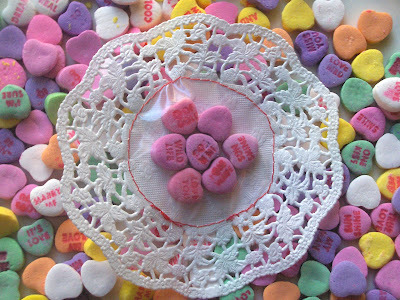 Here's some other ideas I came up with using doilies and zip lock bags for Valentines. Very interesting. I am sure they will be loved. The candies are very cute and interesting too. Wow! My first blog comment ever--and it goes to You! Thank you for inspiring me with each entry. 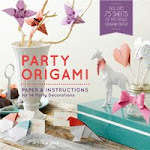 (I started my own blog the other day inpart because of crafty you... I've been logging in for a while now and check in daily. This little maze totally got me going and I made a whole bunch of cards sewn on my machine today. Thanks for reminding me that I can sew paper too! This is terrific--I'm going to put the link up in my Winter Bazaar. Hope that's okay but I love it. The maze is neat. But the second idea is so adorable. 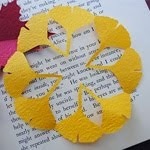 very cool crafty way to make a card! thanks for the nice comment on my little mail boxes- I had so much fun. Ahhhhhh! This is fabulous! How fun. I will have to try this one out! 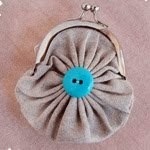 Marie and Make and Takes just sent me over, these are fantastic! I saw your cute idea on Tip Junkie and had to check out your site. Very fun ideas! freakin brilliant! my kids will love this. thanks! Thank you for this great idea. We made some and they were a hit. Hi, I just wanted to share the valentine's I just made, after seeing your doilie ones! SEW cute! purchased the supplies and I am off to create, awesome project! thank you!